Located 1 mile and an easy walk from the inn, this 18th Century Homestead and restored buildings still has a working bicentennial farm. Civil War reenactments and Old Fashioned Farm Days in the summer, Ice Cutting on Kezar Lake in the winter are just a few of the charming activities at this historic spot. Unique and historic estate where you can tour the gardens, hike through the beautiful estate, attend summer concerts or guided gardening, hiking or art events. This National Historic Site has 150 acres including the home, garden and studios of famous sculptor Augustus Saint-Gaudens. 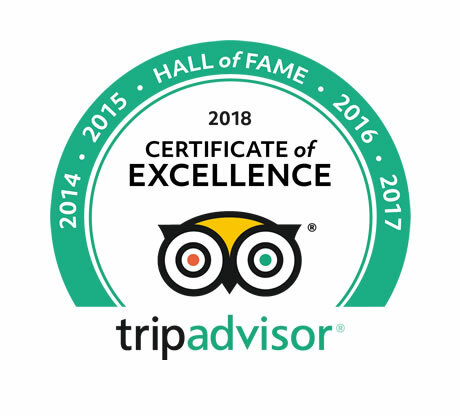 Tour the Shaker Village, eat at their outstanding restaurant, or attend one of their many craft workshops or old time events. Closed for part of the winter, so visit their website for dates of operation. Visit our nearby craft beer breweries that produce some of the best-tasting beers in the world. In fact, The Alchemist Brewery brews Heady Topper, a double IPA that has earned the distinction of best-tasting beer in the world according to Beer Advocate magazine. Also nearby are Lawson’s Finest Liquids and Hill Farmstead Brewery, brewers of many award-winning beers. And lets not forget the Flying Goose Pub, less then 10 minutes from the inn. The New Hampshire Telephone Museum houses a tangible history of telecommunications which can be viewed via guided or self-guided tours. Visiting the Mt. Kearsarge Indian Museum you will learn about the Native culture of the Northeastern Woodlands, of the Southeast culture including the Seminole and Cherokee cultures as well as the Southwest cultures. Our location is an outdoorsman’s mecca, with many hiking trails, biking, golf, and boating activities available. Here is a list to get you started. Other hiking/biking trail information is available at the inn. The Canopy Zip-Line Tour features a series of zip-lines, rope bridges and rappelling as you descend from the top of South Peak. There are eight zip-lines highlighted by the final 1,000’ dual zip-lines to a platform behind the Learning Center, from which you will rappel back down to earth. From the first tree platform to the last platform you will travel a distance of almost ¾ of a mile above the forest floor. Adventurers age six and up negotiate obstacles that stretch from tree to tree. From a central platform in the woods there is a beginner loop and an intermediate loop with obstacles that vary in height and difficulty. Obstacles include zip-lines, net traverse, rickety bridge, monkey vines, log crossing, plank bridge, rope bridges and more. These excursions wind through the base area and lower slopes of Mount Sunapee on a Segway® PT equipped with special off-road tires. Ninety minute excursions are guided by Mount Sunapee staff and include an orientation. Come discover why Segways are even more fun when you take them off-road. A 75-mile loop of hiking trails, surrounding Lake Sunapee, crossing Sunapee, Ragged, and Kearsarge Mountains, and maintained by Greenway volunteers. The Greenway Coalition’s seven winter hikes planned for 2013 begin January 19th. All hikes are free. 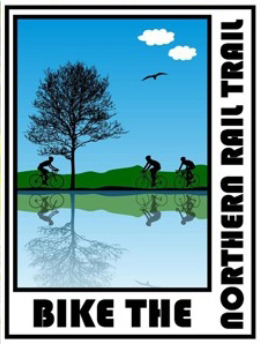 New Hampshire’s Northern Rail Trail begins 5 miles from Follansbee Inn. The trail was built by the hard and loving labor of hundreds of volunteers and is now the longest rail-trail in New Hampshire, spanning 52 miles. For those interested in nature, the trail does not disappoint. Nearly 89 percent of New Hampshire is forested, including the area through which the trail runs. If you’re looking to see moose south of Alaska, Tewksbury Pond and the surrounding marshlands between Canaan and Grafton is a place they frequent. The occasional bear can be found here, too, as well as eagles, herons, and a flock of wild turkeys in Canaan. For a fabulous adventure make plans to bike inn-to-inn. Follansbee is part of a collaborative effort among several inns to set up the opportunity for groups or individuals to bike from one inn to the next, along the Northern Rail Trail and many other fabulous routes we have mapped. Packages include breakfast, lunch, and dinner along with the riding experience and the opportunity to stay in the area’s best inns. Check out the details by clicking on the logo. A summer day hike to the summit with great vistas. Hike to the summit and then to Lake Solitude, a glacial lake. About 10 minutes from the inn, there is hiking, summer outdoor concerts, art & activities at this historic New Hampshire point. Held at Mt. 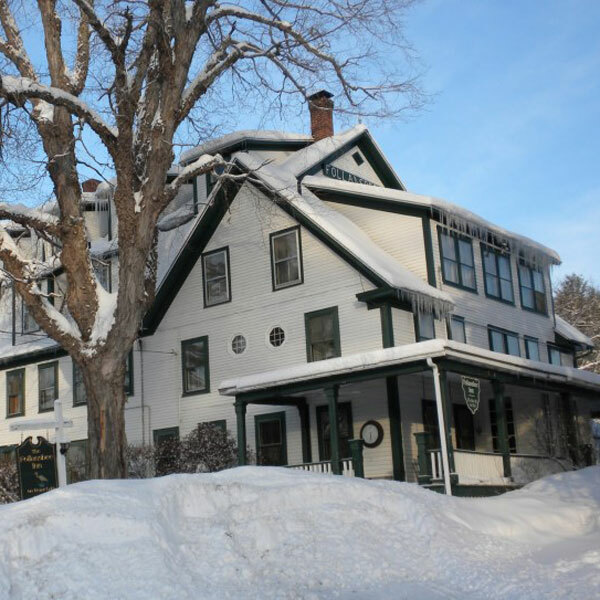 Sunapee, just 15 minutes from the inn – Make your reservation to stay at the Follansbee Inn early, as this event is an American Business Association’s Nationwide Top 100 Pick. Summer stock theater featuring musicals. A 10 minutes drive from the inn. For tickets and schedule call (603) 526-4631. NASCAR and other events at this speedway located about 45 minutes from the inn; many guests stay here for Winston Cup and other races. Less than 10 minutes from the inn. 3 minutes from the inn. Concerts, Readings, Discussions and more. Music, lectures, film, art at Dartmouth College, about a 25 minute drive from the inn. Our Guests are welcome to borrow some snowshoes and hike right from our door. Both Wadleigh State Park and Musterfield Farm provide for great outdoor exercise. Or choose to go to one of the local ski areas listed below. A partial list of some of our guests favorite eating spots. Less than 10 minutes from Follansbee. Breakfast, Lunch, and Coffee Bar. 207 Main St., New London. (603) 526-2488. 10 minutes from Follansbee. Great wine, seafood, continental American cuisine. Reservations appreciated. (603) 526-4201. At Lake Sunapee Country Club. 5 minutes from the inn. Seafood and traditional favorites. For reservations call (603) 526-6040. Just 5 minutes from Follansbee, this intimate restaurant provides an ideal setting for special occasions. Sourcing the freshest ingredients’ including fish directly from the piers in Boston, and making everything hands on, the owners create a menu that will change with the seasons and needs of the clientele. The restaurant is small and intimate; the menu is dynamic and efficient in its diversity and freshness. 499 Andover Road, New London. Reservations required: (603) 877-0063. 10 minutes from Follasnbee. 5 course, 2 entree, prix fixe gourmet. Reservations required. (603) 526-6271. 10 minutes from Follansbee. Continental, contemporary fare. (603) 526-2791. Traditional Chinese take-out or eat-in. 10 minutes from Follansbee. (603) 526-2868. 20 minutes from Follansbee. Summer waterfront eatery on Lake Sunapee, plus live weekend entertainment. (603) 763-3334. 15 minutes from Follansbee. Casual eatery and a seasonal outdoor ice cream place, just across from Newbury Harbor. No reservations. (603) 763-9620. 15 minutes from Follansbee. Home cooking in a country restaurant. – (603)938-2100. 20 minutes from Follansbee. Overlooking the Contoocook River, this country restaurant has a varied menu of sandwiches and entrees sure to please anyone. (603) 428-7621. 20 minutes from Follansbee. American country fare in a comfortable, friendly setting. (603) 428-7007. 30 minutes from Follansbee. Authentic Thai Cuisine and an authentic Thai experience. (603) 643-0300. 30 minutes from Follansbee. Traditional Irish pub food, a family friendly setting, a fun atmosphere with live music on the weekends. (603) 863-7774. 30 minutes from Follansbee. The latest addition to the Magic Foods Restaurant Group, Suna Restaurant offers some of our classics like House Chips, Ahi Tuna and Lobster Mac & Cheese as well as some tried and true exclusive favorites like “Rubbin Butts Nachos” and Smoked Gouda Tater Tots. In addition to our standard menu, Suna offers nightly specials to consider. (603) 843-8998. 30 minutes from Follansbee. A retail store selling their own high quality and freshly prepared foods, and a restaurant serving breakfast, lunch, and dinner. The restaurant’s focus is farm to table using local & seasonal ingredients. (603)-676-7996. 30 minutes from Follansbee. A classic Yankee college town tavern, lively and inviting with quality food especially if you’re looking for their famous Murph burger! 45 minutes from Follansbee. Voted the most romantic restaurant in America, Simon Pearce is an elegant restaurant with a view overlooking an old Mill dam and waterfall. It’s part of the Simon Pearce glass store and factory where you also watch glass being made. The food is fresh and cooked to perfection, a true taste of Vermont.